Don't settle for imitators. 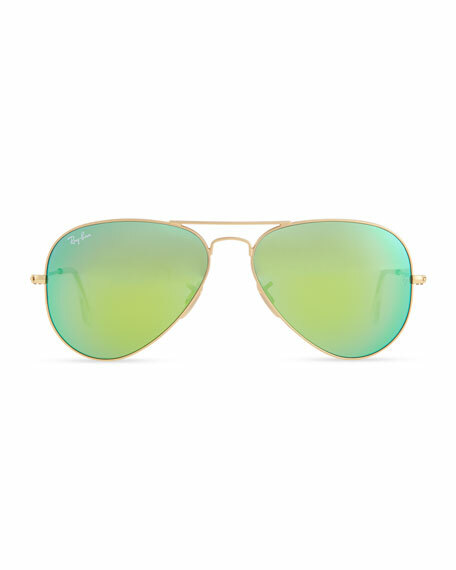 Ray-Ban original aviator sunglasses, chic and discreet with flash lenses. Mirrored coating reduces glare and deflects envious glances. 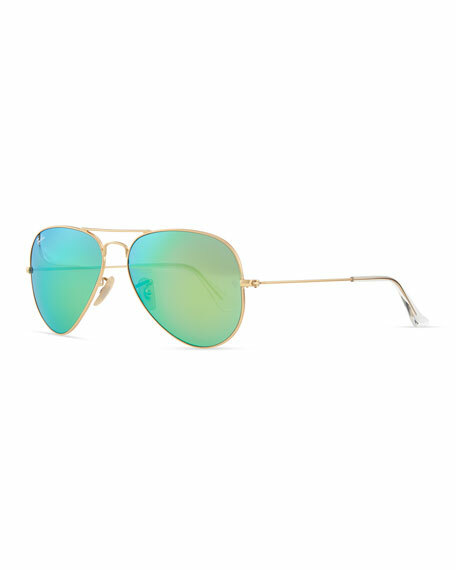 Golden metal frames in iconic Ray-Ban aviator design. Mirrored lenses with green effect. For in-store inquiries, use sku #1946233.